The folks behind the popular iOS game HQ Trivia told us to expect wide Android release on January 1. They followed through on that promise (maybe even a day early) and the game is now available for all to download, as long as you have a phone running Android 5.1+. The HQ Trivia Android app is currently listed as “unreleased” and as a beta that “maybe be unstable,” so keep that in mind as you use it. In other words, there are likely to be bugs that you’ll have to deal with as you try and answer questions for cash. 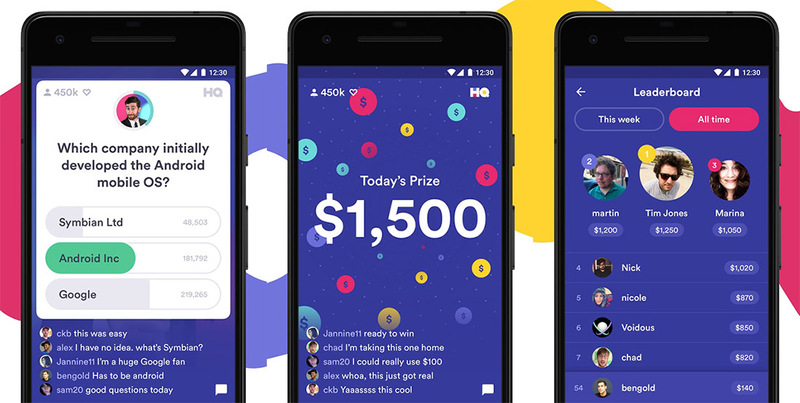 HQ Trivia is a live trivia game (every day at 9PM EST, also at 3PM EST on weekdays), with a live host, that gives you only a few seconds to answer multiple choice questions. If you answer all of the questions during a game, you could win real cash (and cashout with PayPal). The day’s prize varies from day to day, but there is almost always cash there from what I can tell. You also have a leaderboard to rank-up on, a way to invite your friends, and a live chat during games. People love it and hate, but now it’s your turn to check it out on Android. For those who have jumped in early, how has the experience been? I’ve had it installed for two days and have yet to get into a game. Sadface.